All 9 princesses available for download in one place. This pack contains 9 printables. 7 Princesses in "color" - Snow White, Elsa, Cinderella, Belle, Ariel, Jasmine and Aurora. As well as two coloring pages versions of Cinderella and Aurora. So that you can customise the design to suit the child's interests. 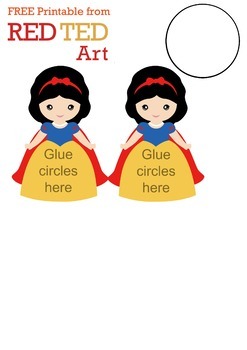 Each printable also has a "size guide" for the bauble dress. 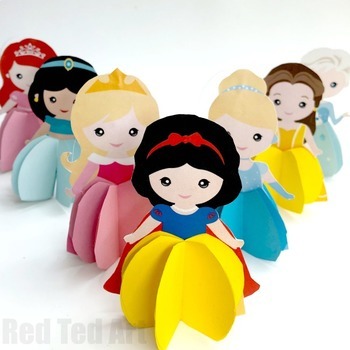 NOTE: These are individually available for free on the website (https://www.redtedart.com/paper-disney-doll-diy-princess-printables/) but for ease of download you can get them all in one place here!